I adore new running trainers. I love browsing for them, trying them and buying them. However every now and again I have ended up with what I thought were the wrong pair of running trainers. 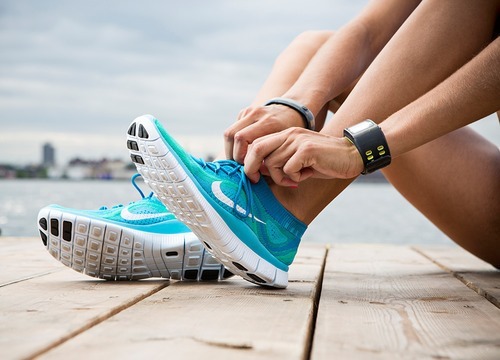 They seems fine in the shop, they may even have felt fine on the first run but after a few they pinched in places, they didn’t support me and they just didn’t feel like the one – yes I’m that serious about running trainers! However I have only just learnt that the way in which you tie your shoelaces can actually solve some of the issues I’ve struggled with in the past; pinching, toenails hurting and movement! So all those trainers I have relegated to weekends and not running could of actually been saved! 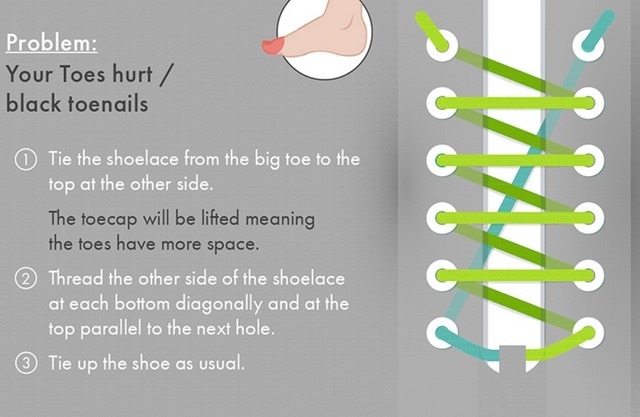 Take a read below on the different techniques of how to tie the laces on your running trainers to make them more comfortable. Thankfully the trainers I’m currently running in (Addidas Boost) are very comfortable for me and I don’t have any of the problems above. However I will be searching out some trainers I retired out of discomfort and tying them in one of the above positions to see if it can solve the issue. Do you tie your laces in any of the ways above? Did it help you? 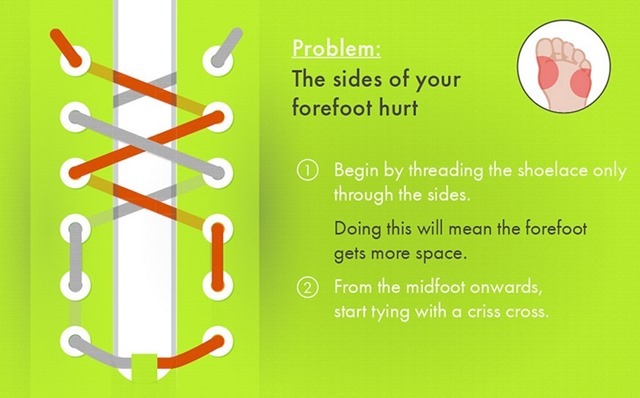 Wow I never knew tying shoe laces the correct way can solve feet problems. I will put this to use on my next run. I know neither did I! 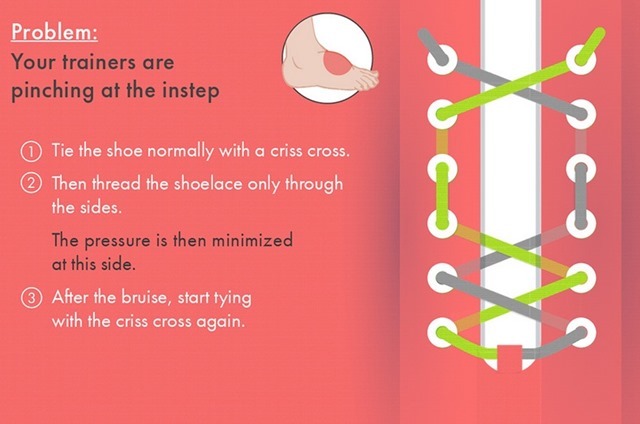 Really interesting to know the correct way to tie them. I rarely go running but I found this post quite intriguing! I’ve never really considered how I tie my laces before! Thanks Rachel glad you found it helpful. Neither had I! Very interesting isn’t it!